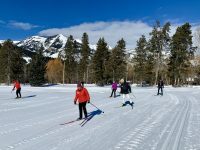 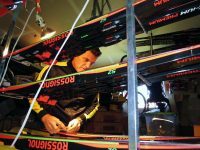 Snow is falling in Jackson Hole, Teton Valley, the Tetons and surrounding mountains, providing a good early season base for cross-country and skate skiing (Nordic skiing) and fat biking. 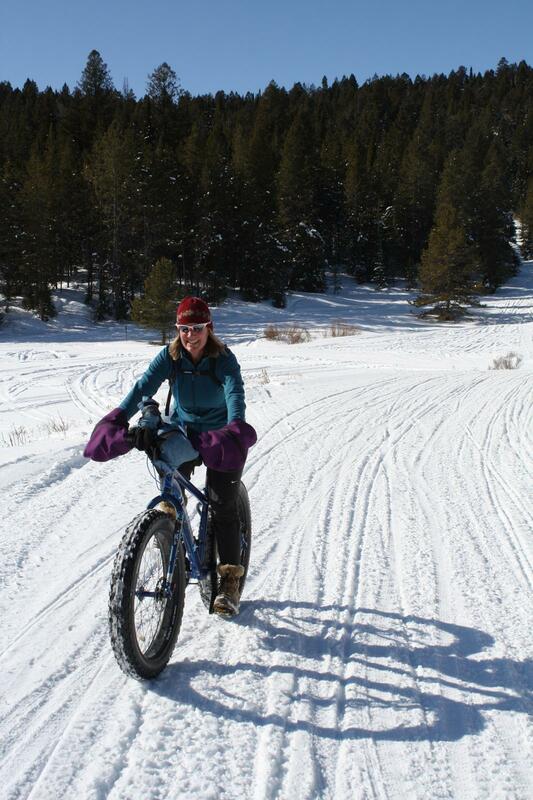 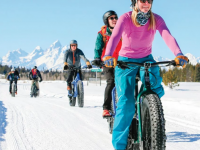 Fat bikes have been spotted on the Old Pass Road (Teton Pass), Cache Creek, Teton Valley, as well as many of the bike paths around Jackson and Teton Co WY. 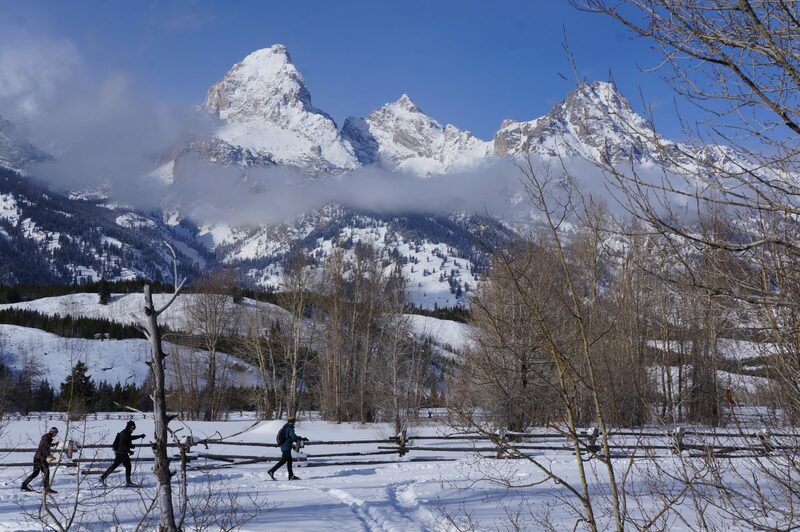 On the west side of the Tetons, Teton Canyon has been groomed for the past week by TVTAP, and Grand Targhee has excellent snow for Nordic skiing and fat biking. Ski tracks up the Moose-Wilson Road from Granite Canyon trailhead (north of Teton Village) into Grand Teton National Park have just enough base to ski out to LSR Preserve. 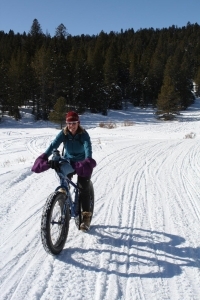 Grooming begins on Teton Co/Jackson Parks & Rec trails and pathways on December 15th. 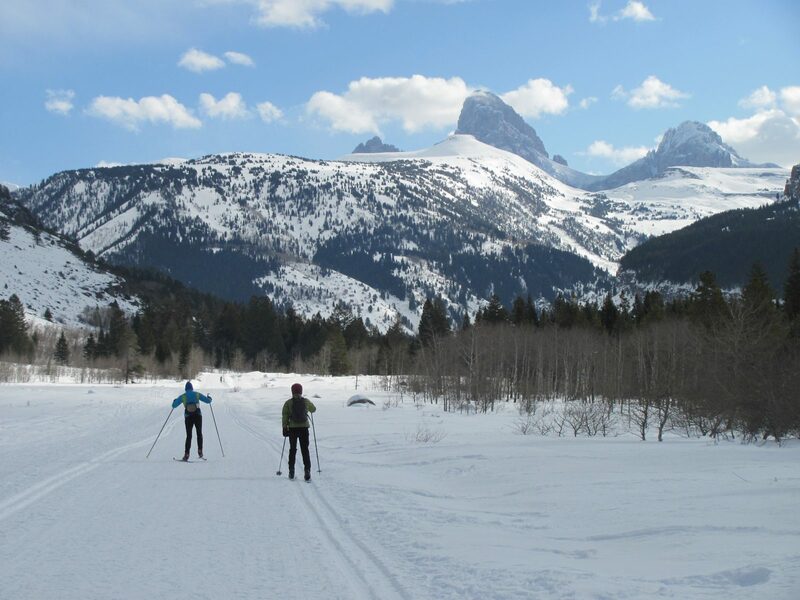 Grooming in Grand Teton National Park Inner Park Road also starts mid December..
Search for “fat bike” trails, “skate ski” trails, or by region on JHNordic.com/trails. 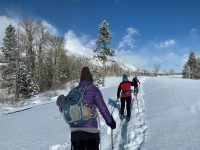 Other search criteria include trail length, difficulty, dog-friendly, snowshoe and more – to find new trails, check the elevation profile, check out the GPS map.